So with March’s run it brought NEW shoes… decided that my old shoes just didn’t have enough support left in them. 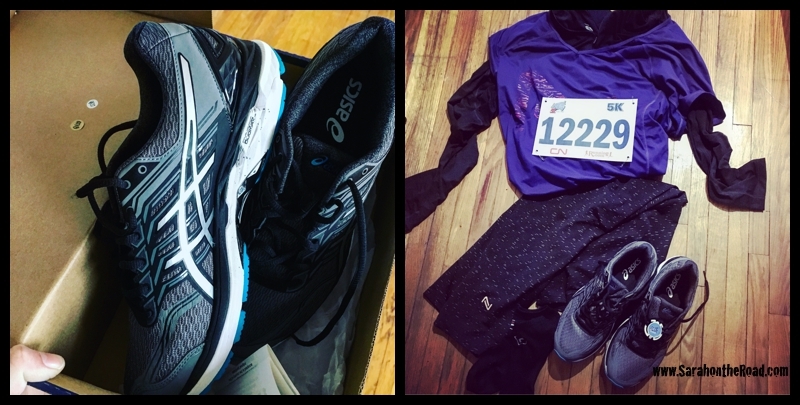 I did the thing most runners will tell you NOT to do…run in a brand new pair of shoes. (I did and didn’t actually suffer.) My foot held out…but still is randomly swelling…and not fitting into my regular work shoes…so been stuck wearing sneakers, and other options that aren’t as fashionable! This race Josefina wasn’t able to join me… but my boss/friend Cathy was running the 30km around the Bay… so it was nice to see her at the beginning of the race and see her cross the starting line. Here go the runners that were doing the 30km…some were doing the race in a relay team…but others did the full 30km on their own. 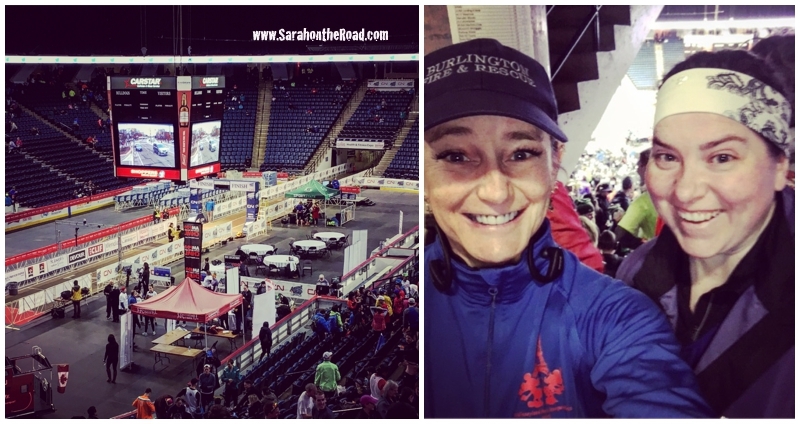 Hamilton’s Around the Bay Road Race is older than the Boston Marathon… it’s been happening for a long time! Always minutes before a starting line…I often stop to think… what the heck did I get myself into. But I always enjoy myself…and can’t wait to do the next one…but in those first moments, I stop to wonder what the heck! After my 5km finish I waited to see Cathy cross the line. It’s fun to be part of this running community. Even though my times aren’t the best… for me they are awesome, and I’m actually out there doing something. I have realized this month that I need to do some more training runs in order to keep up my times…and improve on them. Really would love to beat my PR from my race at Downsview Airport in the Fall of 2015. 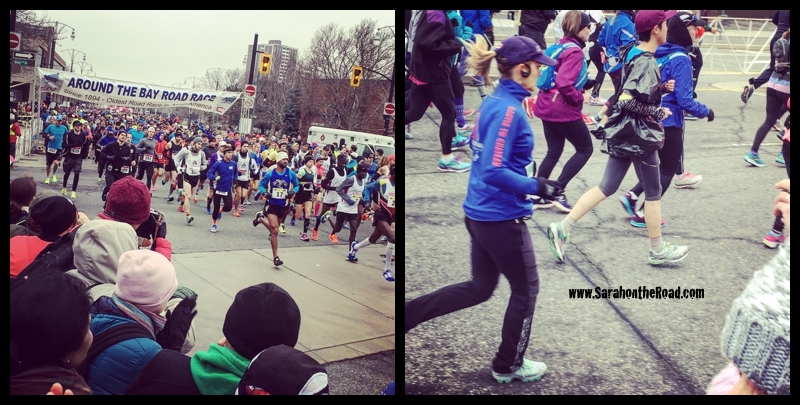 Next month: MEC Race Series– for their Race #2… back on Lakeshore Blvd in Toronto. 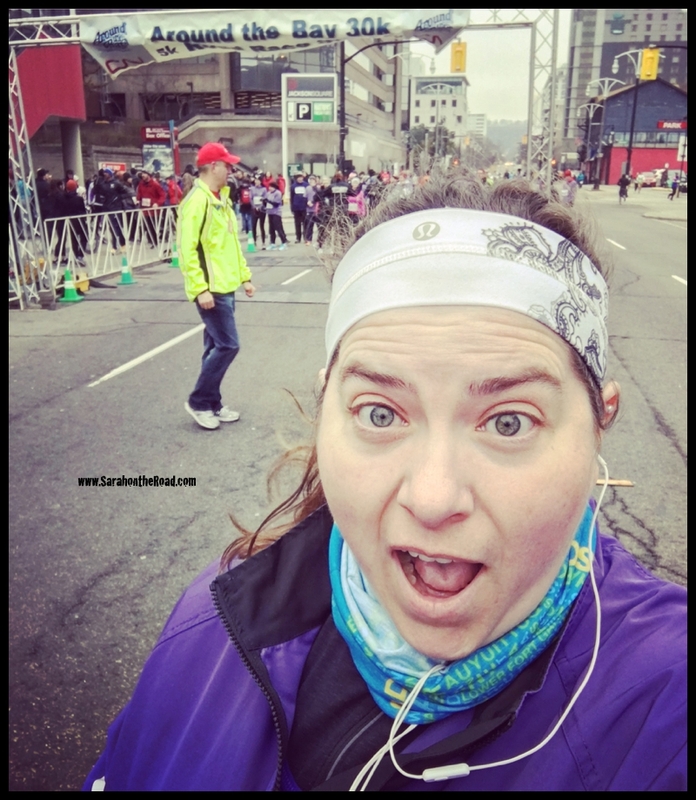 This entry was posted in Life in Ontario, Running 101 on March 26, 2017 by Sarah on the Road.